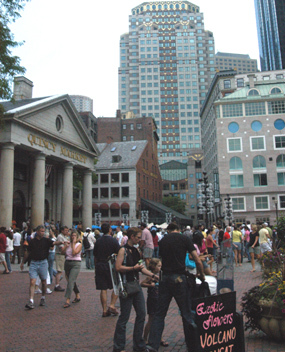 Metropolitan Boston offers much more to see of American history than just the downtown area’s Freedom Trail. It’s a one-of-a-kind city. There are beautiful harbor islands, the homes and libraries of American presidents, key Revolutionary War sites, historical structures honoring the African American heritage of the area, and eye-opening historical locations and museums honoring the region’s maritime past. In the greater Boston Metropolitan area, there are numerous historical sites to visit and learn about America’s road to independence from colonial life. Even sports fans can visit hallowed Fenway Park, America’s oldest professional baseball park, located near the Freedom Trail and other national park service sites in the metropolitan area.